Belorechensk, a once poor import dependent country, is now a major exporter in the world. Twenty years ago Belorechensk's government introduced a strategy it hoped would engender industrialization; ten years tax rebate for exporters who export goods listed in the government's export hot-list. Paknachkuioth Brothers, a struggling import oriented business, soon began exporting several goods that the world market demands. In twenty years, Paknachkuioth grew to become one of the richest companies in the region. Paknachkuioth established numerous branches in South-West region of Belorechensk and transformed the economic destiny of a once impoverished region. Recently, the government of Belorechensk won the Nobel Peace Prize for transforming the economic destiny of the people of Belorechensk using ideal methods. Which of the following, if true, would lend the MOST support to the opinion of commentators who recently said that it would have been more sensible had the Nobel Peace Prize been given to Paknachkuioth instead of to the government of Belorechensk? A. Belorechensk actually used very fraudulent means to grow. B. Good people find it ridiculous that the government of Belorechensk won the Nobel Peace Prize thereby destroying the credibility of Nobel Peace Prize among good people. C. A newspaper company with a very poor readership had many decades ago published a report in which a certain nondescript business firm was boasting it could grow businesses by using ideal styles such as emitting zero carbon in all its industrial operations and ultimately the newspaper company published a verified scientific report that predicted that the ideal methods cannot succeed. D. Paknachkuioth will not use the government hot-list if it becomes a new policy. E. It has been proven three days ago that Paknachkuioth was penned down as the winner of the award, but an eleventh hour very secret discussion ensured that the name was hastily changed. 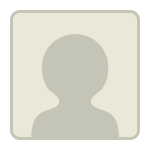 Originally posted by Ekland on 03 Apr 2016, 09:22. Last edited by broall on 07 Jun 2017, 19:05, edited 1 time in total. A. how does that strengthen the conclusion. It didnt show how it could be more sensible for the company to get the award. D. Will? The argument is talking about past event not future. Left with C. rechecking C. "A business firm boasted it could use ideal methods to ..." the premise says the award was given to "... using ideal methods". So I can assume that the winner actually used the ideal method. But C suggests that the ideal method was actually used by the company and not the government. So it would be more sensible giving the award to the user of ideal method. If a certain company boasted it could use ideal methods to do business, there is a chance the company is Paknachkuioth. But their boast was refuted scientifically. While it is true that the claim was refuted, it is never a proof that the company didnt end up succeeding with their plan. Moreover we werent told that the company used the hot-list. Option C states that a nondescript business firm had claimed that it could boast businesses using ideal styles which a newspaper report proved to be not possible. This statement doesn't prove that it was the government's claim to use ideal techniques for industrialisation which was proved false. So how can the answer be C.
Experts please share your views. To me D is more likely the answer. D is the answer that shows that kind of relationship better than any other choices. Hence D.
C can not be the answer as it does not address anything to make us feel that the company deserve the Nobel prize. Please provide official answer for this question and elaborated explanation. first of all, the question looks scary but it turns out that it can easily be broken down. Actually, there are many similar questions. In this question, the key word is "instead". That is, the option must yield a reason why the former should have the Nobel prize while the latter does not deserve to have the award. C is long, but C is correct. Others techniques such as POE, shifting scopes, strengthening the result, finding the gaps, ruling out other possibilities, etc... do not work effectively. if it can be easily broken down, please explain how you arrived at C. The explanations thus far have made no sense. Please take a look at this question. I'm not sure where to even start on this one. The OA makes no sense to me. If it was established many years ago that using ideal methods wasn't possible , there is no reason to believe that it is not possible now ! Experts please explain . 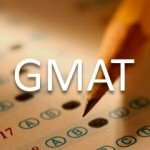 after you have made extensive practices on GMAT, you soon recognize the pattern from the question type. That is to say, the question is all about finding an answer that supports one thing, but weakens the other thing. Only C has such this kind of power. dont worry, I will deliver some aids to you. The newspaper company is nothing but the commentators. It basically says that the commentators verified if the govt's policy would work or not and it apparently would not have worked. So the only reason for the change in fortunes was the P brothers company. Moreover nowhere in the argument does it say that the P brothers company exported only from the HOT LIST... it exported a several commodities..
the question basically asks that why the business is supported, but the government is wrong. C tells that the ideal methods never work.